NaИ does not want copies, does not accept developers who are this in name only, nor does it accept the present concept of framework. Moreover, it does not use certain technologies if it is not well aware of what has been "written" and if it is not able to re-produce them autonomously. A Consultant is a professional who is able to adopt this kind of approach. A Consultant is not someone who has an answer for every question but someone who can understand those questions, find solutions, explain them and, whenever necessary, use them competently and within brief time periods. Flexibility, clear aiming in troubleshooting and rapidly finding solutions are NaИ's strongpoints. I.T. evolution has led to a state of generalized dis-information where anyone, even though incompetent, feels entitled to express technical judgments. I.T. is a scientific subject, and it is impossible for someone to improvise themselves as experts. Professional competence is essential in order to achieve good results.  NaИ does not despise Frameworks, nor does it dare overshadow the great work and the amazing evolution that these technologies represent, but the real perpetrators of this evolution are those who realized them, not those who regard themselves as "professionals" just for being able to utilize them. A developer who is worthy of this name, should not only be able to use such instruments but also be able to re-design, personalize or correct them.